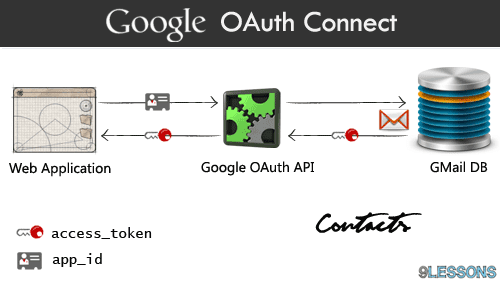 Import GMail Contacts Google OAuth Connect with PHP. Inviting friends is the most important part of the web project success. This post explains you how to import Gmail contacts from address book via Google open authorization protocol connect with PHP. It’s simple just few configurations follow below four steps, use this script and give option to invite more friends. You have to change Oauth keys and return URL. Contains PHP code. Connecting to Google for requesting open authentication access tokens. Google return to Contact.php file with contacts data. Great post... really like this. Appreciate the efforts of the author. btw how to import inbox from google? Me dio error!! creo que no tengo ningún contacto!!! 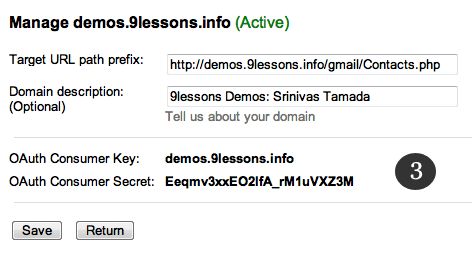 hi srinivas, Is there any limit to retrieve gmail contacts? How can we import contacts from facebook? How can I solve this one? Absolutely useful! Thank you very much! how can we import emails from google account ? How to extract the first and last name along with the email ids.? I'm still waitin for email to be subscribed in your mailing list to download gmailOath.php but I got a flair that the script is wonderful. Thanx bro. U rock. I'd been trying this in jan - feb then hopelessely quit it. how do you modify the script to import groups and group members? Yeah, this is great. Pls provide also yahoo and window live. Absolutely useful. Guys post some direct url to download the script, i would like to get hands on the script. Great post, tested on different browsers, but Chrome doesn't show contacts.... :(( , why? I may have done something wrong. When i test on my server i get: Invalid Token. get_request_token is not responding with a token. get_request_token is not returning a token. I'm havin the same problem! it always return the NULL. Go to ur browser preference and clear the cookies that your website has saved on the local system. Then try running it again! Hey, could you please answer my question, why every browser returns data, but Chrome doesn't? What about email sending limits? Even if you use Google Apps account, you can only send 500 emails at a time (what a bout contact lists with hundreds of emails)? How to know if the user denied the application? really really nice application !! Thaaaaaaaaaank you! This is a nice post. But there is an quick authentication method implemented using Gmail OAuth itself @ http://www.ecstasyforum.com. This needs almost 10% of serverside coding that fetches user's details such as email, picture URL, name,gender. Is there any way to retrieve emails as well using OAuth, i have used IMAP but it doesn't provide complete functionality i want and also don't shows the message body for emails marked as important ??? There is a problem if i have imported contacts and i refresh the page then it gives error of Warning: Invalid argument supplied for foreach(). Due you have any idea, how to solve it. I need this project in Java language. How can I fnd please help me. Gr8 post Dear! Very simple just follow the steps. very useful post, thanks to author. Can I retrieve other details of contacts like name, phone number, photo etc? If it is so, how? How I can download source code? Please, help! thats why i cant access key value of returned array..Can you pls help me finding its solution?? So any one have other idea to use this application ? This is nice tutorial.It's very helpful for me. May i know how to get contacts name and photo in gmail. please help me it's urgent. if u got invalid token response than first set your system and/or server time properly. i hope invalid token issue solve. tks srinivas for very great post. after getting the contacts i am refresh the page then no contacts is displayed.but i want to show that contacts how? plz can you help me to solve this problem. Hey admin page! I see a lot of command has problem but i don't see your reply. why that? It's not good if you don't have reply to support what you have.sorry if any bad to you . Alright since Mr Srinivas is too busy to get back to all of us with the errors mentioned here, I've done us all a favour by figuring out what went wrong in the foreach error. Basically, the $contacts was getting over-written in with each loop. $cont serves as a backup for $contacts and every time the email id is printed, the $contacts variable will be reinitialized with the original value. Long story short, it works! You might have to close your browser, refresh a few times and clear your cache to clear the temp memory. It'll work after that! Is there any way in which user can select the contacts and import the selected contacts only ? thanks for good post but i have one issue if user denied the permission so api is not redirecting to my site url. May u plz help me? Plz guid me or email me the solution. Thank you so much for this wonderful help.. I cannot download source code yet but I got GmailOath.php file here.. I tried many other solutions, mainly as modules, but neither worked. Thanks for this solution that works! I have noticed that this works pretty well on my local machine but when you put this inside a framework the contacts API results nothing. I hope this will help someone looking to import gmail contact (especially having issues with this api) for rest this API works like charm. You will see that only the request_token and the oauth_verifier are not empty. HOW CAN I GET THE REQUEST_TOKEN_SECRET? Few month ago it was working well, but now it throwing an error "Timestamp is too far from current time: 1375191942"
chrome browser it not working. why it is serverside scripting. Great tutorial. Was looking for it. First of all thank you for this post. I'm having a little issue. When I get to implement all the files, altough I change the required fields like the $consumer_key and stuff, when I click my button, it asks me to give authorization to this site's request, instead of mine. And changing other fields causes the token to corruopt itself and stop working. when i try to run this script its show me below some error. First thanks for this post. i have implement this gmail contact importers but i want to change the domain name or i want to register the new domain but i find the difficulties in to search the link of add register domain. so please give me the link so i can follow the above step. How i create customer key? Thanks for the post. I am getting email-d and title.Is it possible to get friends image ? Script works Gr8! Thanks for this. But Facing 1 problem, when user is asked to allow permission to manage contacts , it displays Client Id for application. And I don;t want it there. Can you please suggest solution for the same. I will like to have site name there. How can i implement this in YII Framework? How can I take telephone numbers from Google Contacts? This good works right for me , but how can i fetch the picture or any other contacts given ??? does the array returned contains the info??? how can i access it??? what is the solution for this error and i would like to fetch the image/profile picture if the user as well as his/her name. 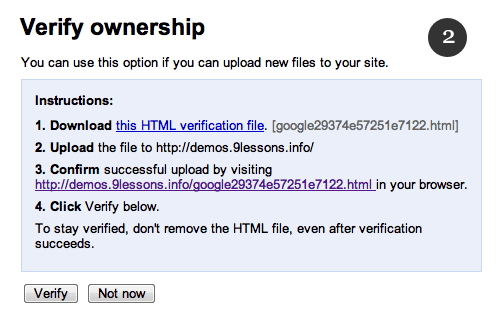 Can we get phone numbers using gmail oauth ? Can i have google plus contacts? ?